Chris Baker literally wrote the book on enrollment management for independent schools. Since 1999 she and her associates have been working with independent schools to help them meet an ever more demanding enrollment climate. 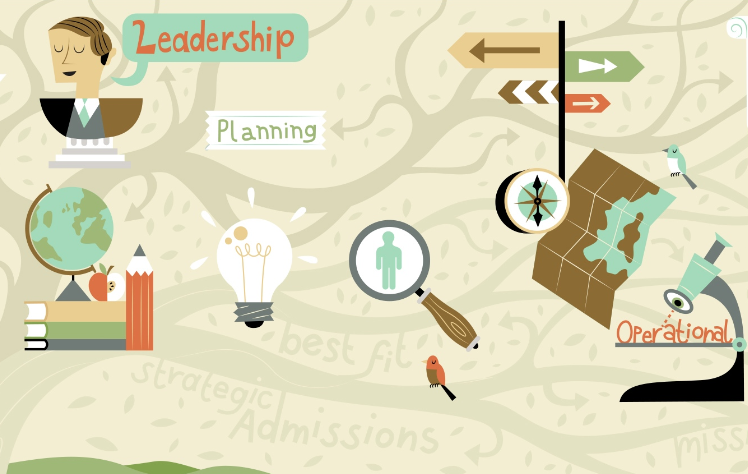 Baker has made it her mission to bring the professional strategic thinking and practices of enrollment management pioneered by leading colleges and universities to independent schools large and small. Along the way she has inspired and nurtured a new wave of the savviest admission leaders in the business. 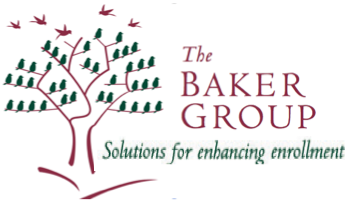 Working with The Baker Group is not only an investment in the financial health and sustainability of your school; it is an enduring investment in the people on your team. Select image or scroll down to learn about our services. Find your next Enrollment/Admissions Leader. Maximize your school’s financial health, image, and quality. "Enrollment management is more than admissions - it is a strategic integration of admissions, retention, research and marketing. 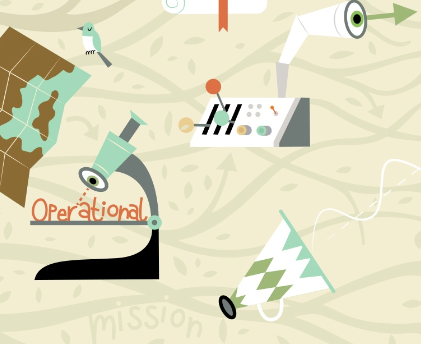 To thrive, schools must apply this big picture, synchronized approach.” Read more here. There are 8 measures of savvy enrollment management. How does your school measure up? 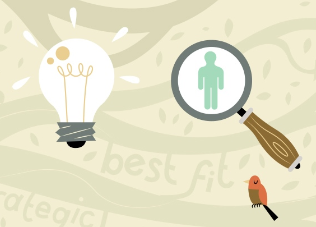 Developing an effective enrollment management strategy means integrating admissions, retention, research and marketing. Our projects begin with an assessment of the necessary research that will enhance a school’s understanding of its current and potential new markets. We do this by identifying relevant economic, demographic and education trends, by evaluating the current admission operation and by making recommendations to strengthen and expand institutional marketing efforts. Our electronic surveys, focus groups, and in-depth interviews provide an effective means to gather “directional” feedback from internal and external constituents. We most often recommend a comprehensive strategy that includes surveying the entire parent and student bodies. Analyzing attitudinal feedback from current parents and students plays a critical role not only in more fully understanding a school’s enrollment picture, but also in viewing an institution’s strengths and weaknesses through an enrollment management lens. Once tailored to a school’s specific circumstances, the quantitative research collects data that allows school leaders to compare constituent satisfaction levels and the strength of a school’s programs. We segregate respondent answers by demographic subsets of the school’s population: full pay students/financial aid recipients, day students/boarding students, and lower/middle/upper school students. Using this research, a school can bring clarity not only to how it is regarded by its own families, but also how the school is perceived in the broader market. Our research identifies economic and demographic trends in the education marketplace. Understanding both constituent satisfaction levels and broader market trends is critical for effective strategic planning, for the development of mission statements, the coordination of effective print and web messaging, and the conducting of successful fund raising campaigns. Our recommendations are designed to assist the school leaders in framing how, by using the media and its improved understanding of their markets, it can plan effectively for the future. Given the recent national downturn in admission activity and enrollment, our research can inform immediate tactical adjustments and longer term strategic direction. Our research provides school decision-makers with answers to specific enrollment management and marketing questions, and positions them well to guide their school’s internal decisions regarding admission and retention, financial aid allocation and tuition discounting, as well as marketing and public relations efforts. To organize, revitalize, and prioritize strategic and tactical decision making we collect and use data like that listed here. See specific internal research described. See specific external research described. We have consistently received high praise for our success in building cohesive admission teams and instituting operational improvements when facilitating an admission office retreat. The scope of our admission workshops and retreats depends entirely on the specific needs of a school’s admission and marketing staff. After reviewing basic admission data, we will advise a school on ways to focus their time together. While some schools might choose to have a facilitator for an entire admission office planning retreat, others may direct their attention on the development, training or enhancement of a particular admission and/or marketing skill, such as interviewing, maximizing the applicant review process, or utilizing volunteers in the admission process. We develop the retreat agenda collaboratively with the Admission Director in order to meet an admission and marketing staff’s professional development needs and a school’s institutional advancement opportunities. A research foundation from our presentation of national, regional and school-specific admission and enrollment trends. Synthesis of school related enrollment management, admission and financial aid research and summary of findings. Overview of a school’s current market position. Development of a renewed sense of purpose and direction and an improved connection between admission staff. Development of an admission office action plan with annual goals and objectives. In our 16 years, we have served over 600 schools. * Clients who provided photographs for the website. Assoc. of Indep. School Admission Profess.